I know that I just did an Idea Thief, but I saw this idea, and I can't help but share it. 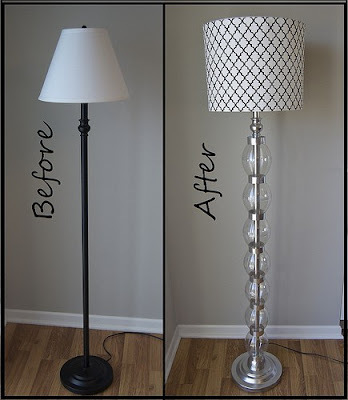 Using just pop bottles, duct tape and metallic paint, this regular lamp went from boring to amazing. Visit Matsutake for the tutorial.